Structura UK, headquartered in London, England, is now the official distributor of Kalwall products throughout the United Kingdom and Ireland. Structura recently assumed that status after reaching an agreement to distribute Kalwall, the global leader in diffuse natural daylighting solutions, in Scotland. Structura was already Kalwall’s UK distributor in England, Northern Ireland and Wales. 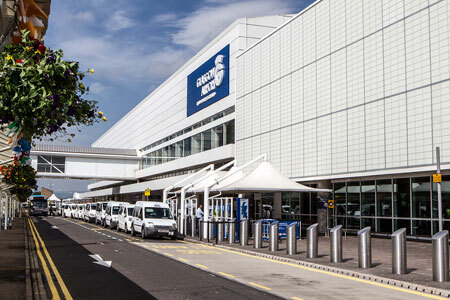 Glasgow International Airport is among the more prestigious projects in Scotland to feature Kalwall. Others include Telford College in Edinburgh, the Thetford Community Health Centre in Thetford and the Jock Stein Sports Centre in South Lanarkshire. The first project involving this new partnership is the renovation of the historic McLean Museum and Art Gallery in Grennock, Inverclyde. The listed building is undergoing a £2 million refurbishment. Structura is an award-winning structural glazing and curtainwall specialist that has been managing projects for more than 25 years. They specialize in hard-to-reach and sensitive projects throughout the UK, including Scotland, such as the BT Tower in London and The National Archives in London. “Kalwall is a great product and we are really happy we can expand where we can offer what we consider to be the most highly insulating, diffuse light-transmitting structural sandwich panel in the world,” says Structura Managing Director Manny Patel.